great image. 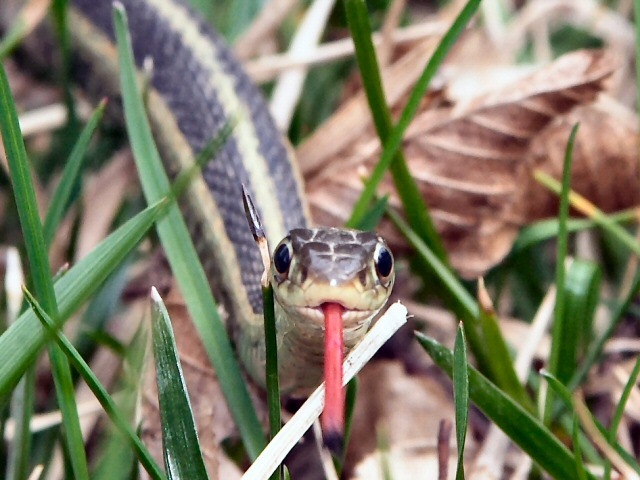 I thought garter snakes were green? But good snake anyway. I like red licorice too. Great capture! How did you get him to come toward you? Every time I've ever seen one of these babys they run like there's a proverbial fire under them. Great shot. Looks almost posed. I keep forgetting to login with my name.....GREAT CAPTURE!! I love this!